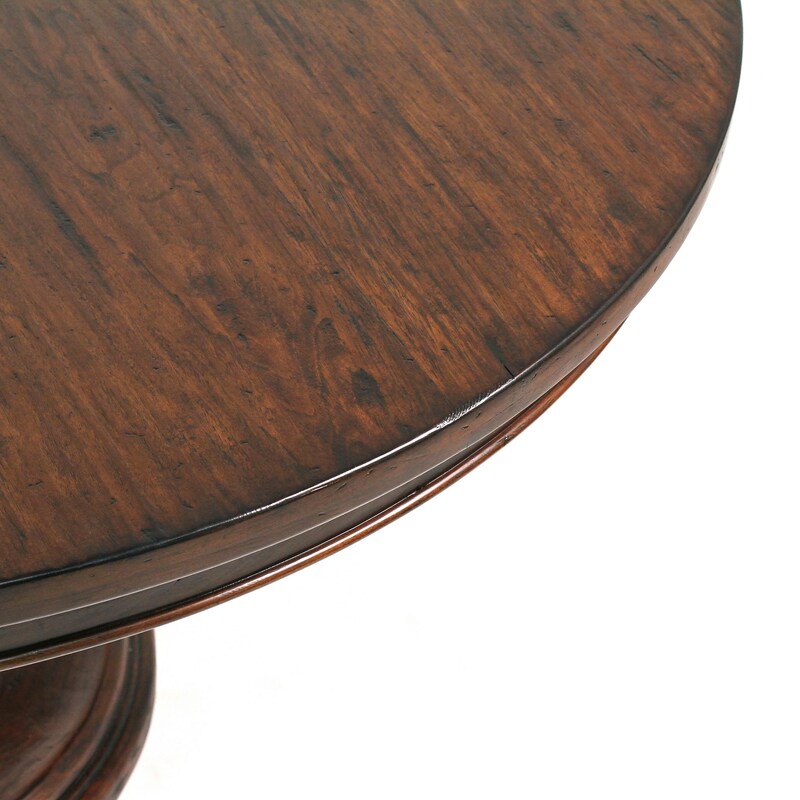 The Auverne 60" Round dining table features an over-sized heavy pedestal base. 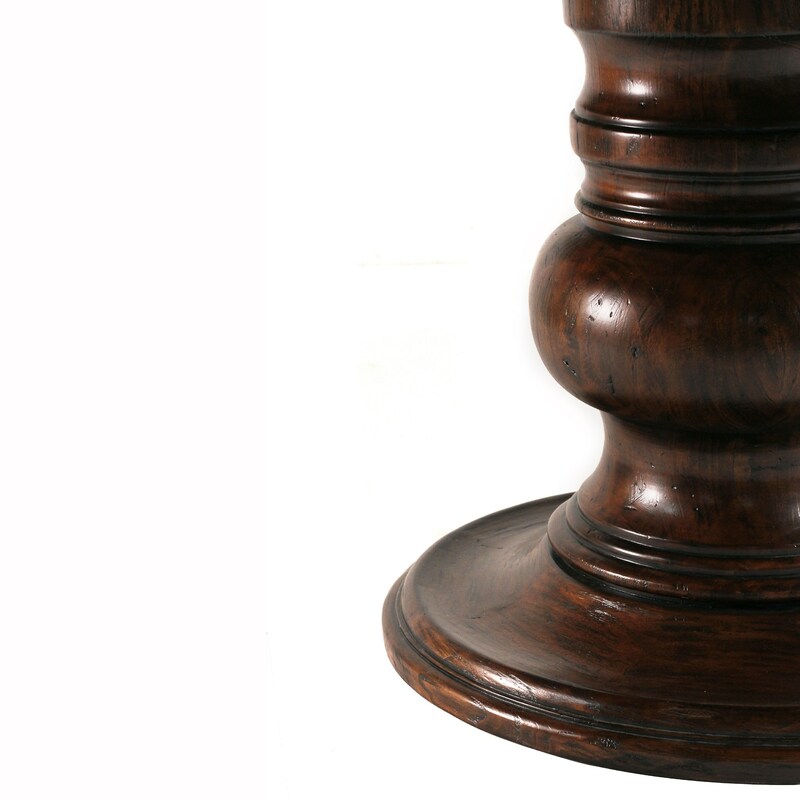 Hand crafted from solid birch wood in a chestnut finish. Uniquely distressed with artisan-created imperfections.Designed to appear as a rustic countryside treasure discovered on a romantic holiday to southern France. 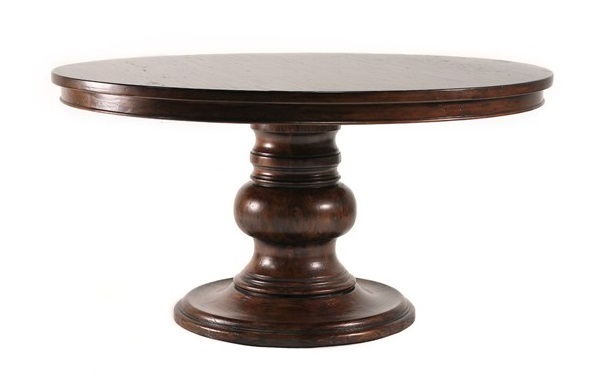 This table represents European Old World style. Protected with a durable furniture sealer. **View the Auverne Buffet Sideboard.